Whiteleas and Harton entertain Seaham Park tomorrow in a KP Simpson Certified Accountants DCL Division One clash, starting at 1.30pm. Following last week’s disappointing defeat at Esh Winning, Whiteleas know that they will need to perform much better to take anything from their home game. Despite slipping down a place into the relegation zone, skipper Andrew Potts is still remaining positive. Potts said: “The bottom half of the table is extremely tight, but there’s still a long way to go. “If we can perform to our ability, we’re capable of giving anyone a game. 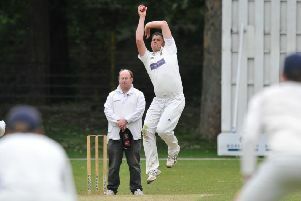 “Seaham Park are littered with very good players and their overseas professional seems to be prolific with the bat. All rounder Hafiz Aleem returns, but batsmen Owen Peterson and Grant Parkin are both missing. 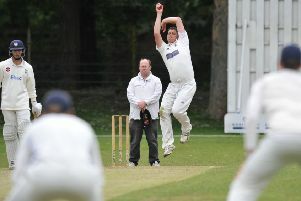 Seaham Park must go without bowlers John Sample and Davey Gilbert, but brothers, Shevvy and Umar Akhtar, return to the team, after missing last week. Vice-captain Michael McNicholas said: “This will be another tough game for us and we need to get back to winning ways after being robbed by the weather recently. The Second XI travel to Seaham Park hoping to follow up on their impressive victory over Esh Winning last Saturday. Vice captain Iain Jones returns to the action following a broken finger.